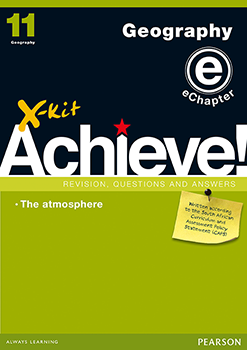 "X-Kit Achieve! Geography Grade 11 is a CAPS-compliant study guide that includes concise explanations, and plenty of practice and sample test and exam papers with answers. The series has been developed based on research and feedback from learners and teachers. It offers exercises that cover understanding, application and problem-solving skills. • Module 2: The atmosphere.